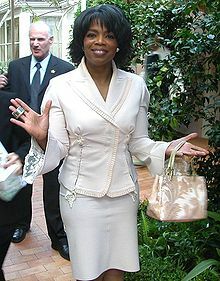 Oprah Winfrey has flatly denied that she wears a weave on her talk show. Winfrey appeared sported long, flowing tresses on Friday’s show that impelled the question, was she opting in for hair extensions, as reported by TV Guide. She addressed the question head on, after her “Tweeple” – the name she gave to fans on her Twitter page – posed the question to her. “Am I wearing a weave? Everybody’s like, ‘Oprah, we love your weave’. This is not a weave: this is my hair,” she said.